RED HONGYI HAS BECOME FAMOUS FOR MAKING HUGE ART OUT OF ODD MATERIALS. 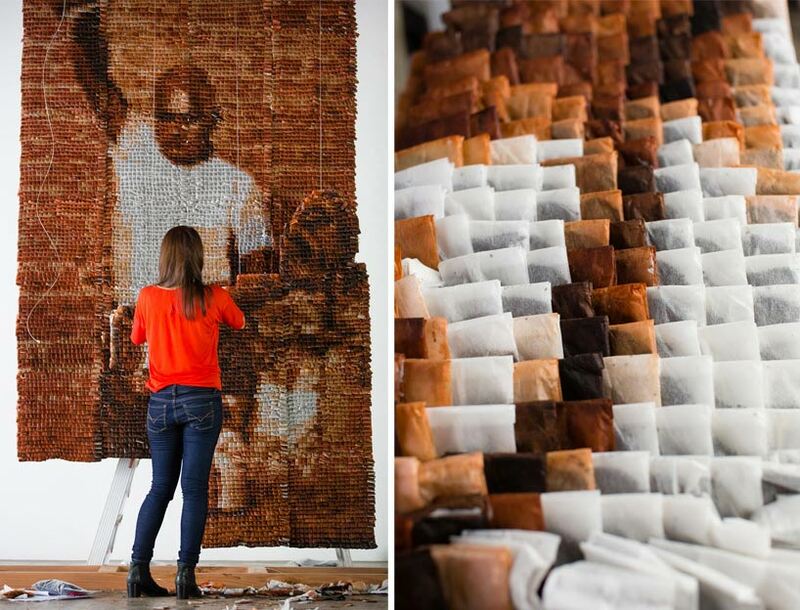 SHE DYED EACH OF THE 20,000 TEA BAGS BY HAND! Red Hongyi has become famous for making HUGE art out of odd materials. Her past mediums include: socks, chopsticks, and even sunflower seeds. 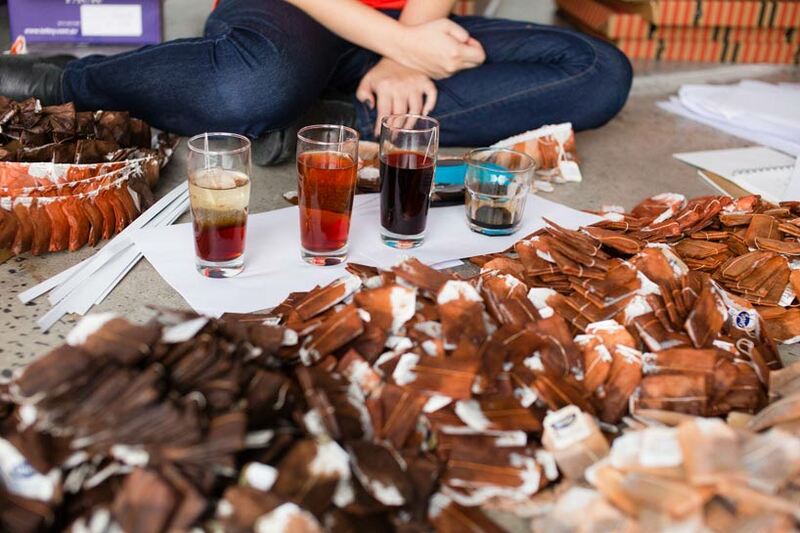 Red Hongyi had to dye each of the 20,000 tea bags by hand! 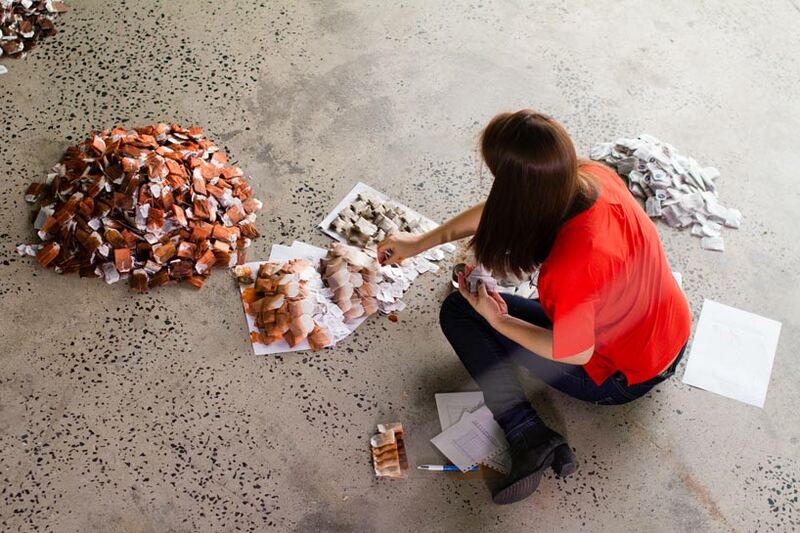 For her most recent creation, Red was asked to make something to present at the 2015 World Economic Forum. The event would feature as many as 2,500 people including presidents, prime ministers, business leaders, and diplomats. Red wanted to create a piece that reminded her of hope and Malaysia. She chose a photo of a man making Teh Tarik which is a traditional Malaysian tea drink. 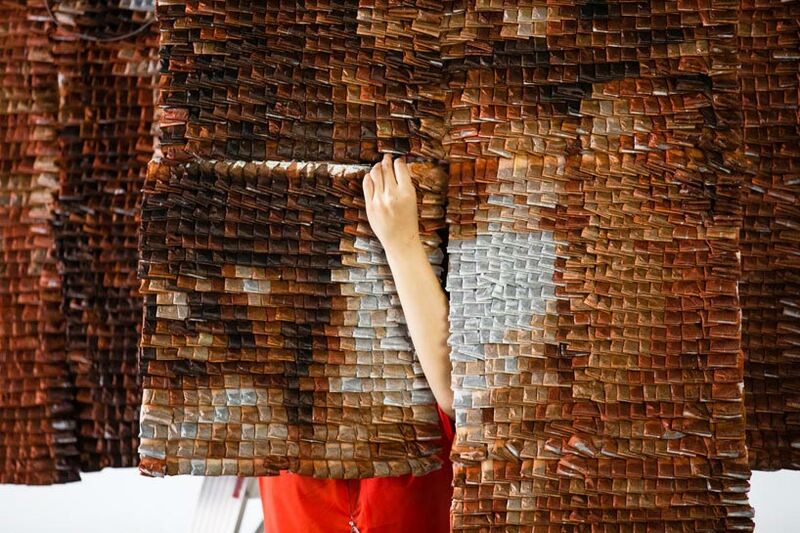 Red Hongyi dyed each of the 20,000 tea bags by hand and then sorted each by darkness. The tea bags are dyed naturally with tea, except for the very dark colored packets which required a small bit of food dye. 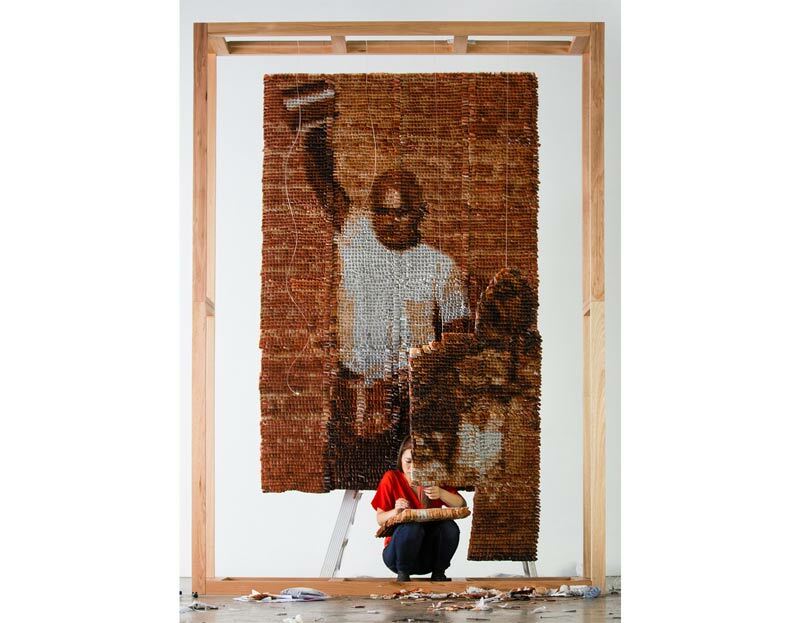 After working on the piece for two months, the portrait stood 10 feet tall! The funny part is Red Hongyi says she drank more coffee than tea while making it just to stay awake. We’ve all been there! The teabags were stapled to each other. Red assembled it one block at a time. After dyeing the bags, Red sorted the bags by shade. 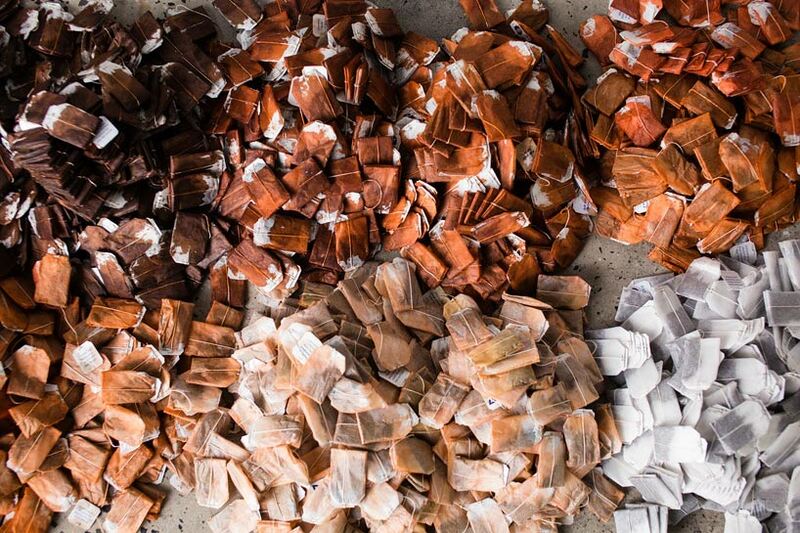 More than 20,000 tea bags were dyed, sorted, and hung! The finished piece was 10 feet tall! 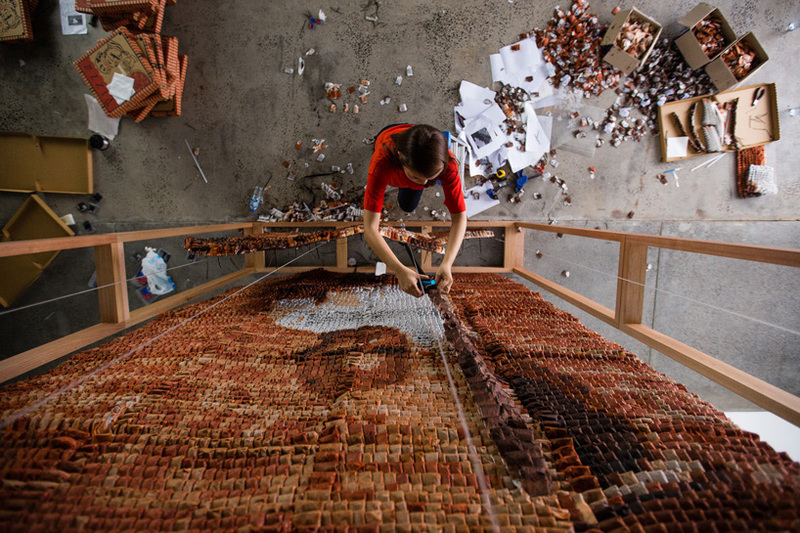 It took two months to assemble the entire portrait. You can watch the behind-the-scenes below!